Sure, beauty is only skin deep, but isn't that all the more reason for you to take stellar care of yours, and make sure it looks great?! Before you get too excited... or horrified... by bare, we're talkin' bare face and arms people. As in, without makeup. I go au naturale most of the time, unless I'm going to a fancy premier or I know my mug will end up on TV. I don't want to hide under a bunch of makeup. So I've been a little bummed out to see growing age spots multiplying like mega freckles and splotchy sun tan patches. And boy do they show up on my pale skin! I have 2 kids under 13 and still get out to cover rock shows, music fests, theatre and more, so most people think I'm younger than 46. But the pigment in my arms and face has been changing, and telling a different tale. Here are my before shots. 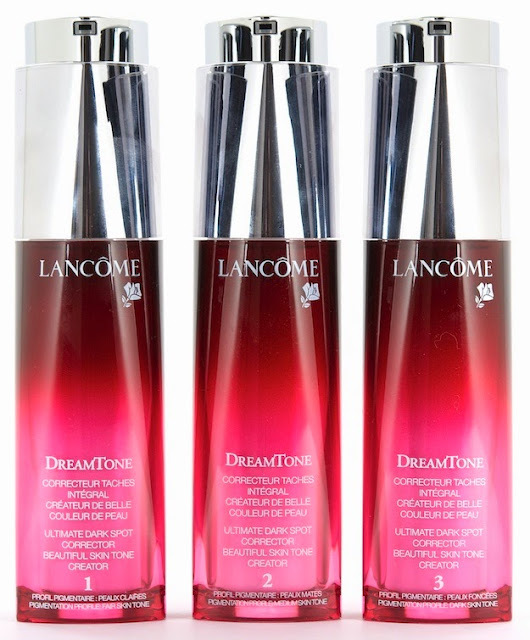 I'll be trying out a complimentary sample of Lancome's NEW DreamTone Customized Skin Tone Correcting Serum 2x a day and reporting back to you on my results on the 24th.